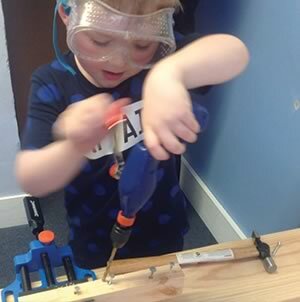 The Angmering Day Nursery is a very special place dedicated to ensuring that the children who attend here reach their fullest potential and all the foundations are set ready for their future learning at school. We are set on the ground floor of a large family home where there is lots of space to explore and learn with the fabulous staff who work here and the activities and adventures we offer. We are proud to have obtained consistently excellent outcomes from Ofsted and work hard to exceed expectations. 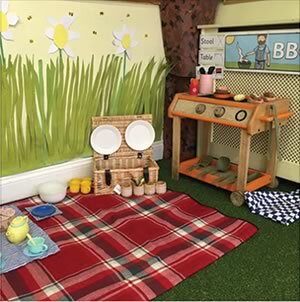 Within the nursery have a dedicated ‘Main Room’ for many free-flow experiences, a ‘Discovery Room’, full of exciting activities to explore and a ‘Quiet Room’ for reflective activities. We have a wonderful dedicated outdoor area, which is safe and secure for all ages. Here we garden and grow our own vegetables, have a wonderful mud kitchen, mini beast area, fairy garden, play house…. and so much more! Our nursery is always developing, introducing new activities and experiences so keep your eye on our website for our next adventure.. The Angmering Day nursery was set up by Juliet in 2006 in response to a clear need for quality childcare and education for under 5’s in the area. Juliet has worked all her working life within both childcare and education., firstly as a Reception teacher in Devon, then moving on to becoming an Early Years Leader in a local school responsible for their nursery and reception aged children. Finally she worked for West Sussex Early Childhood Service, supporting local nurseries and pre-schools across the county. Juliet wanted to draw on all of her experience and knowledge to develop an environment for children that truly would be an appropriate step between being at home with their parents/carers, and going to school reception class. Homely enough to ensure children felt secure and happy, small enough so children can have their individual needs met and challenging enough for children learn lifelong knowledge and skills. More than anything, as a mum herself, she wanted it to be a place that she would have been happy to send her own children. As a nursery owner and a parent there can be no better goal than that! Our ethos is truly child centred. Each child is repected, cared for and nurtured as an individual with their own unique qualities, talents and abilities. We believe that children are capable individuals who deserve our support to reach the higest goals. We believe that well qualified, committed and happy team at the nursery are key to the children’s positive learning experience at the nursery. We look after our staff team, ensure they continue to be well trained, and work positively with them to develop their skills. We believe in working in partnership with parents, supporting them and respecting them as their childs first educators. 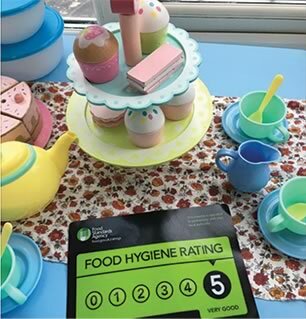 As with all pre-schools and nurseries we work with the Early Years Foundation Stage curriculum, but here at the Angmering Day Nursery we don’t just see this as a document to work with. We hope to bring its words to life and ensure the children’s learning is as enriching and as fun an experience as we can. All the research tell us that young children learn best when their learning is developed through quality experiences and activities that they have a connection or an interest in. Our qualified staff are focused on knowing the interests of your child and developing experiences that your child will not only enjoy but take them on their next step on the road to learning. Every child deserves to have a special relationship with an adult at nursery. It is how they feel safe and secure, and from which further learning and development stems. 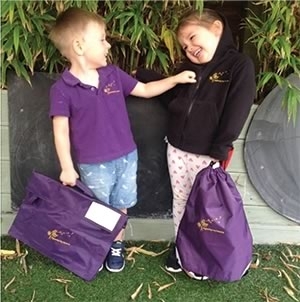 Each child is allocated a ‘Key Person’ at the nursery who is responsible for getting to know your child really well and developing a good relationship with them. The key person will fully understand the learning and development needs of your child, plan activities for their next step in learning and will liaise with you each day. 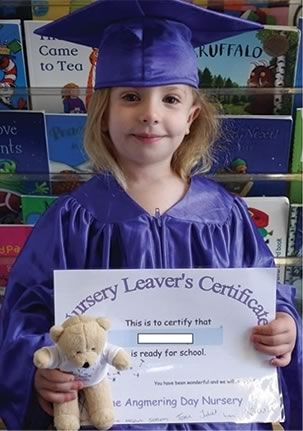 To do all of this requires great skill and a high level of care, so at The Angmering Day Nursery we ensure that we employ highly qualified staff who also have a caring and nurturing nature. Research tells us that higher qualified staff in nurseries always produce better outcomes for children in terms of both learning and care, so this is the foundation of our belief. Parents and carers of our children can view the full range of our polices and procedures within our setting at any time, or they are located within our Angmering Day Nursery ‘App’ which can be downloaded to their smartphone or tablet. Please contact the nursery for this access.